These are the best Easter treat. 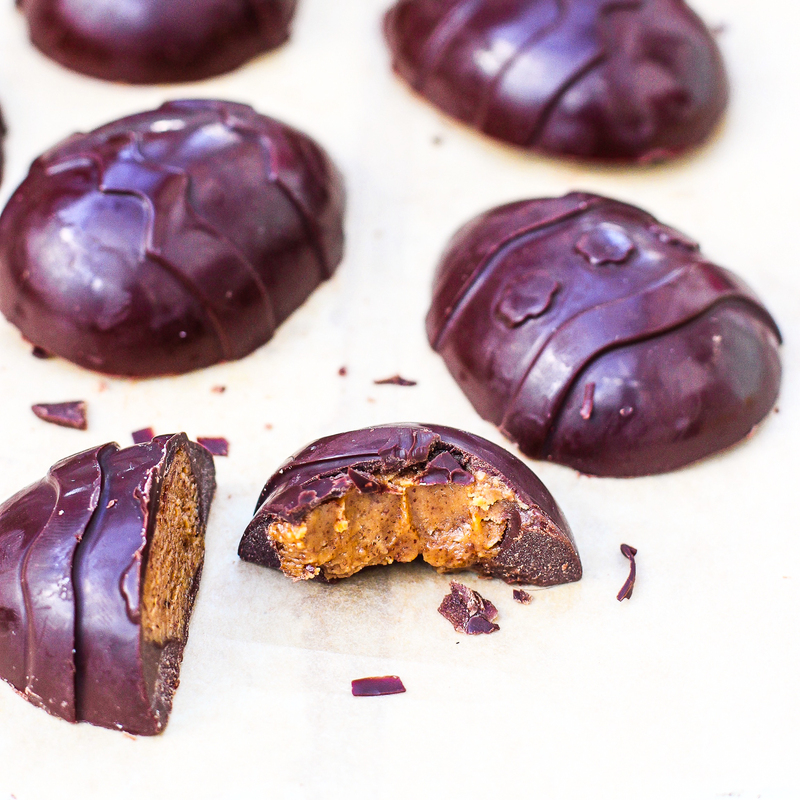 They’re my dream chocolate egg- rich dark chocolate with a sweet, creamy almond butter filling. You’ll need an egg mould (I got mine on amazon) but after that, they’re super simple. Slowly melt your chocolate in a bain marie. Stir in the coconut oil until it’s melted and mixed in. Use a spoon to coat each egg mould in a thin layer of dark chocolate. Pop it in the freezer for a few minutes while you make the filling. Use a fork to mix together the almond butter, maple syrup, vanilla and a pinch of sea salt until smooth. Take the egg moulds out of the freezer and add about a teaspoon of the almond butter filling to the centre of each. Fill each mould with the remaining dark chocolate and then pop them in the fridge for about an hour to set.